What a pleasant stay in Shanghai! Six months ago, I arrived from my small village of fewer than 200 inhabitants to Shanghai, a megalopolis with its population size three times that of Switzerland! After a first visit to China last summer with the China Hardware Innovation Camp (CHIC), where my team prototyped and manufactured a connected product in Shenzhen and Hong Kong, I had the pleasure of working as a junior project manager for swissnex China and as an ambassador for HEC Lausanne in China. I was excited to be part of this highly dynamic and innovative environment that has a rapid adoption rate and a clear plan to become a leader in many technology areas by 2025. I joined the Innovation and Entrepreneurship team in October and had the opportunity to work on various projects with different tasks to accomplish and learn from this experience. I remember my first project where we participated in China's largest trade fair, the CIIE. 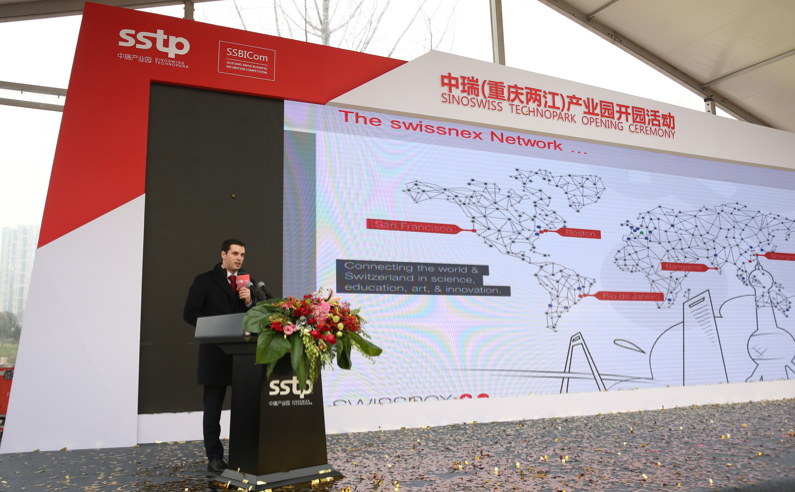 I had the pleasure of organizing an event where we presented swissnex China's activities and projects as well as a presentation of Swiss start-ups to thousands of local audience. In the following months I had the opportunity to participate and represent swissnex China at events such as the Sino-European Health Technology Innovation Week in Nanjing, and the opening of the Sino-Swiss TechnoPark and the SSBICom in Chongqing. At these events, I have gone out of my comfort zone by giving speeches to more than 200 people. I also had the chance to visit exciting companies and see how innovative some players are. Cainiao’s autonomous warehouse and its hundreds of robots were incredible. Landspace and its rocket projects were fascinating. I also enjoyed visiting one of the Siemens factories and discovering all the project management tools that have been implemented in the production line. My last major project was to assist in organizing the Swiss Pavilion at CES ASIA with more than 20 Swiss start-ups joining us to represent the Swiss innovation ecosystem, and to join the competition to win some of the highly coveted startup awards. This role gave me the opportunity to meet exceptional people I could not have met in other situations and to build a quality network. For HEC Lausanne, the organization of events was fun, and the very encouraging participants were always happy to participate. The Shadow Banking conference with Prof. Ying Liu received much positive feedback and generated a lot of interest through many interactions. Supporting exchange students and organizing alumni gatherings was also fun, although it was not always easy to stimulate the alumni community. I also appreciated the opening ceremony of the China Economics and Finance Center, at which the Dean of HEC Lausanne was present, and where I participated in a round table discussion with other stakeholders in the innovation ecosystem. My experience at swissnex China has been much more than just work. I had an incredibly fun time with this wonderful team. There are so many impactful moments that I simply can't include them all here. The retreat in Beijing with the whole group was great. The countless lunches, dinners, brunches, and drinks. KTV, small getaways and other weekend activities were fun. I want to thank all the people at swissnex China for giving me this opportunity. Working and spending time with great minds has inspired me and I look forward to seeing you all again soon. More than just colleagues, I found many friends here. I would recommend China to all the sceptics as China has much more to offer than what we can read in the news or see on the TV. The Chinese are incredibly friendly and generous, even though communication can often be the main problem. Chinese food and its eight distinct cuisines has a lot to offer. The next steps for me will be to write my master's thesis on artificial intelligence in China. But first, I will travel to Japan and Korea, as well as showing my family a little bit of China and add a city or two to my long list of Chinese experiences. Whaoo, I can’t believe that I've already spent 6 months in Shanghai. In my brain, I feel like I just arrived in China. During my stay at swissnex China, I was mainly involved in assisting the Office Manager and the CEO with administrative and operational tasks including accounting. I also helped to push some events through social media, to increase the follower count of the official swissnex China accounts to supported activities and events such as the Future of Money Series, End-of-Year Open Day 2018 etc. Besides work, I also had the opportunity to discover Shanghai’s neighborhood and some cities around China. One thing that I enjoyed in particular is the food: it was very interesting to see all the difference between the food cultures in China and Europe. I really want to thank swissnex China for choosing me and for entrusting me with the responsibilities. I hope that we’ll see us again in the future. So goodbye Shanghai… and Beijing: here I am! The end of my time at swissnex China is approaching and I cannot believe how quickly the last year has passed. During my internship at swissnex China I took care of the science newsletters, did the coordination for the Science & Technology Diplomatic Circle (with for me the highlights being the visits to Yangshan Port IV Automated Terminal and Cainiao, the logistics arm of Alibaba) and helped organizing various events (with “Homes of Drones: The Sino-Swiss Drone Night” being the biggest one). I grew very fond of China, its convenience, its culture and food (lánzhōu lāmiàn, jiǎozi, bāozi, tāng yuán, shāo kǎo, huǒ guō!) and besides extending my Chinese vocabulary mainly in the area of food, I also had the chance to travel to various destinations in China. 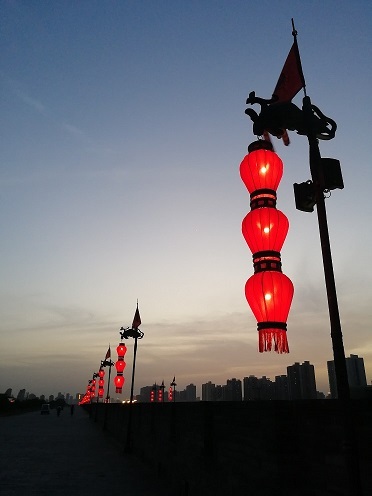 Although sometimes having to overcome some difficulties and often communicating with hands, feet and WeChat translate, I enjoyed all my trips and I was amazed by the country’s landscapes, sights and very kind and helpful people! I am thankful for the year in Shanghai, a vibrant and everchanging city, and for the people that I met, making my stay in China an amazing experience! I cannot believe how fast time has passed. Working at the Embassy, meeting new people, learning so much from everyone, many fond memories were made and friendships created so of course six months flew by so fast! I used the time outside of work to travel across China, visiting 10 cities with amazing friends, trying new food and delicacies which I never thought would taste this good! During my stay here I was able to learn and improve my Chinese, unfortunately only in the food department – but that’s the most important part in China, knowing what you’re eating! Having worked at a small Consulate before joining the biggest Swiss Embassy in the world, I was quite surprised and impressed by not only the size of the Embassy, but also the diversity of work and the people working here. The experience and knowledge that everyone brings along, the synergies created between the different sections and the projects that we could work on definitely opened up my horizon and understanding of the world. I enjoyed the time in Beijing. The experience at work and the amazing people I have met, who I can now call my friends, are all part of the memories that I will cherish and keep for a long time as I head back to Switzerland to continue my studies. A big thank you to my team and colleagues, for supporting me at work and my dear friends for spending so much time with me exploring the country and adventurously trying new food. I will miss the time at the Embassy, but I’m sure we will all meet each other again whether in China or in Switzerland. The initial plan was a 4-months internship in PR & Events…Now, after 7.5 years with swissnex China, Isabel Götz is off to new adventures. Before she joined our team in March 2010, she worked in various sectors such as hospitality, aviation, IT/internet project coordination, human resources and education, as well as PR and event management. As our Head of Operations her daily work was both very exigent and versatile, and given the broad background she became a bit of a “human interface”. 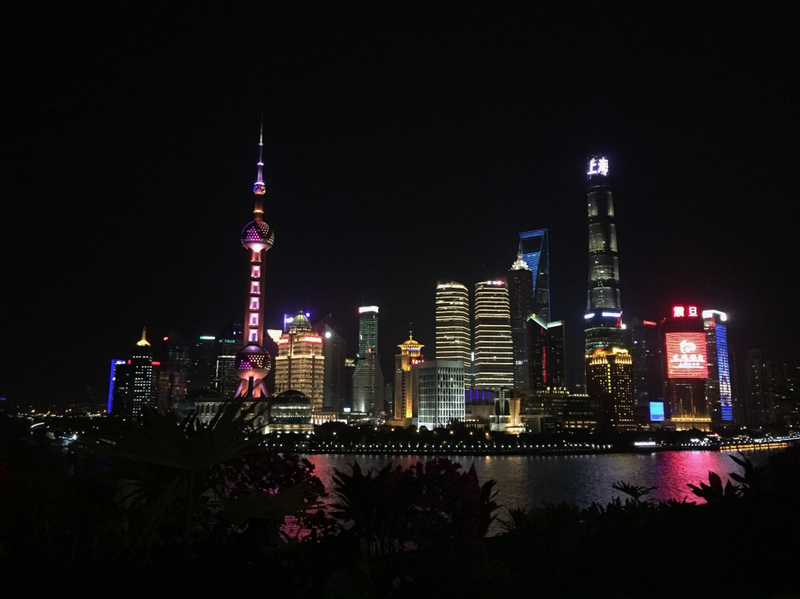 So, after all these years in Shanghai, there are many stories to tell, and we asked her to share some thoughts on her experience in China. Do you still remember your first day at swissnex China? Can you name a couple of highlights? After all these years, what still fascinates you about China, and Shanghai? What are your main takeaways on culture and business in China? From take-away to give-away – your wishes for swissnex China? The Canton of Neuchatel gave four high school students the opportunity to spend 6 weeks in Shanghai. They arrived on August 29, 2016 to start their adventure in China. Every morning during weekdays, they attended to Chinese lessons to improve their language skills. During the afternoons and weekends, they had time to discover Shanghai and its surroundings. My amazing 6 months in China as a Junior Project Leader summed up in a mouthwatering way. Who would have known that two of our team members would win not only a free trip to Switzerland but also an interesting hiking adventure in Zermatt? After seeing a post on Weibo from the Chinese team of Mammut, a Swiss sportswear brand specialized in mountain equipment, Emma and Alessandra decided to take part into a competition…let’s hear about their story! The competition required us to take some promotional pictures wearing the brand’s clothes and I also drew some fashion figurines. The surprise arrived after a week: we were so happy to hear that we won the first prize! After the long trip from Shanghai, we arrived in Zurich and from there we transferred to Zermatt, a very famous destination for snow lovers in winter and mountain hiking during the summer. This year is a very special year: everyone celebrates the 150 years of the first ascent on the alpine mountain “Matterhorn”, which actually ended up in a tragedy as four climbers died on the way. Mammut had taken in charge our accommodation: a really beautiful hotel-chalet. Our room was big and all made in wood but the best surprise was when we actually went on the balcony… the Matterhorn was just right there shining in front of us! No cars are allowed and the town is full of nice little restaurants, where we had typical Swiss dinners. August 17th 2015: this was the day. At 1PM we met Annette, the mountain guide of Mammut hiking school. To be honest, we were both a little scared about the hike, as this was a really first time for us. However, we took the challenge and, wearing all our professional equipment, we grabbed our big backpacks and our sticks and the adventure started! The uphill hike was really nice: we firstly took a cable car and then started the trail from Schwarz See, a “black lake” with a small white chapel reflecting in the water surrounded by green land. The more we were walking up, the more the trail was steep and we had to be careful in the middle of all the rocks. The last meters were even harder as a snowstorm started right where we were! However, after 4 hours of hiking, we arrived at Hörnlihütte, a kind of guesthouse at an altitude of 3260m. We had a nice dinner and breakfast there as well as a special Mammut shared bedroom. The morning call for the professional hikers willing to reach the top of the Matterhorn is settled at 4 in the morning everyday; on our side though, we were pleased to have some more hours of sleep and to hike back downhill. From the middle of the clouds we ended up at the bottom of a very big glacier…impressive! I guess at this point you will want to ask about our overall impressions, so here they are. For Emma, this wasn’t her first time in Switzerland but she never went to Zermatt before. As a girl who grew up in the South part of China, mountain hiking was definitely an unfamiliar name to her but it was a really interesting activity to go through. She thinks that from a mountain hiking point of view there are many good resorts in the world, however, because of the panorama, the mountains and the professional hiking schools like Mammut, Zermatt turns out to be just unbeatable in her mind. On my side, the whole trip was first of all a great occasion for me to go back to my country and meet my family and all my friends after one year in China. Moreover, the hiking experience was a first time for me as well. Although I have to admit that the panoramas were really beautiful, I don’t consider myself being such a mountain girl willing to risk my life on dangerous trails. Finally, we were both really happy and grateful to Mammut who gave us this great opportunity. Annette was very nice to us and has always believed in us: ‘Just have a try, if you don’t feel good, we can just stop and take the cable car. But I am confident in you girls. You will make it’ she said with care and in a confident tone. At the end of the adventure, we could feel that a friendship was born - not just a plain relationship between a mountain guide and the clients. Thank you Mammut, Zermatt and Switzerland…we’ll come back! When I was younger I had the opportunity to travel to China with my family. Those brief moments ignited my fascination with China, and I knew that one day I would come back. Last year after finishing my Bachelor Degree in Communication Systems at EPFL in Switzerland, I finally got my opportunity, and so I decided to find an internship in the Middle Empire. However, after months of research and hundreds of none-answered e-mails, I started to realize the difficulty of finding a Chinese company that would hire me. Nevertheless, after a quick exchange with swissnex China about what I was looking for, I received a list a 3 new contacts. To my luck, one of them decided to hire me. 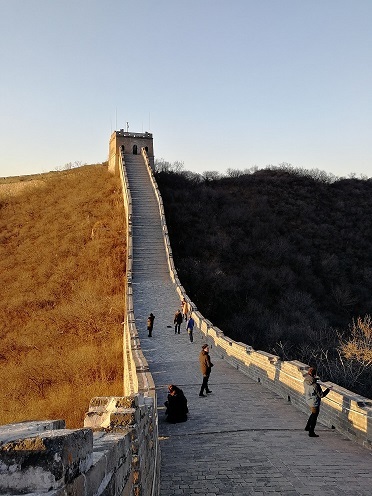 Moving on, I ended up in China at the end of August for a 8-month internship at a cloud computing startup located in Beijing, China’s capital city. The company is called Eayun, and is currently focused on building B2B cloud computing solutions for the Chinese market based on open-source projects. Two weeks after my integration into the R&D department, I was already working on core features of the main product of the company. Moreover, being the first and only foreigner in my team was an amazing cultural experience. I couldn’t hope for a better situation for the improvement of my Chinese. Experiencing Chinese-life from the inside taught me a lot about how important diversity is in the workplace as well as in social life. My own insights helped my colleagues understand a perspective that they weren’t used to. Even if we suffered through a language barrier, there is no measure of growth to be had when you are learning from someone who is different from you. As you can see, even though this experience working at a Chinese startup would not have been possible without the help from swissnex connecting me to useful contacts, it was my initial interest in China that compelled me to persevere through the hardships of finding a job. This motivation allowed me to live out this extraordinary experience in which I was able to meet many amazing people. Needless to say, I can’t wait to come back. Written by Lucas Vandroux (冯凯), Eayun Inc. The past 6 months flew by too fast and it is already time to say goodbye to a great team at swissnex China and to the fascinating country that China is. When I arrived here four years ago, I barely knew anything about China, its culture, and its language. It was overwhelming at first to arrive in a country where you can’t be understood by others. But overall, I would say the experience has been nothing but a positive one. Confronting myself to an unknown environment and to an unfamiliar culture impacted my life in so many incredible ways. I learned a new language, discovered new hobbies and passions, and met great friends from all around the world. All the hardships or tough times that occurred at first all seem to have disappeared to give place to only good memories now. My 6 months internship at swissnex China has been an amazing time, and the perfect way to finalize my 4-year journey in China. I was able to work on challenging and interesting projects such as Lift China, and the organization of the “Escalade” 2014. I will also remember the very dynamic and multicultural atmosphere that fills this office. I want to take this opportunity to thank all my colleagues at swissnex China for the great moments shared within these 6 months. Your warm welcome and constant support allowed to perform well at my tasks and to make the most out of this experience. Before leaving, I would like to share with you a quote from Lin Yutang’s book “My Country and My People” which I think describes very well the relation one can have with China. Hope to see you all soon either in China or in Switzerland! Now comes my turn to write a farewell piece to say goodbye to my beloved swissnex China. I can still remember the times when I was interviewed and how I strongly desired to get this internship, and all the excitement after I did it! Four month ago, my magic journey made its sail and began to leave its mark on me. At the beginning I was mainly responsible for translating all kinds of documents because that was within my expertise. Then Cissy entrusted me with tasks that directly facilitated the upcoming and ongoing projects including researching, writing invitations, and escorting visiting professors and students. Over time my responsibilities as an academic intern diversified. I was helping Tu draft bilingual news and publicity materials, manage social media, and maintain our official websites. I was trusted by Sherry with setting up venues and logistical support. Lijun involved me into contributing to a variety of technology and business-related events both from the office and at the front. Pascal asked me to add to and polish his presentations. My Swiss colleagues came to me for translation… I never got bored with the range of roles I could take and really enjoyed myself in the process. I want to especially mention here an important event which took place in September in the middle of my 4 month internship – the Lift China. This whole day conference was pretty major because it was its debut in China and required a large amount of preparation beforehand. The whole swissnex team was putting a lot of efforts into the event together with the Lift team in Switzerland. I was also contributing my bit and really put myself into it whole heartedly. The process was demanding and rewarding and the conference finally turned out to be a huge success. I just felt so fortunate to be part of such a major event and get to make a number of friends, both Swiss and Chinese. Together we had so much joy and wonderful memories which I will never forget. Apart from my exciting work life, I also had an amazing time out of the office. Lunch hunt with my cute Swiss colleagues (Chinese? Japanese? Or the Chinese-Japanese?) Fun moments I had trying to translate and explain what’s on the menu. All the teambuilding dinners, birthday and farewell parties I have been to. Intimate, personal outings with my Swiss friends. Just to name a few. These four months have been just wonderful with a bunch of fun, loving people and interesting and challenging work. I just want to express my gratitude and thank you all for making part of life in Shanghai beautiful and memorable.